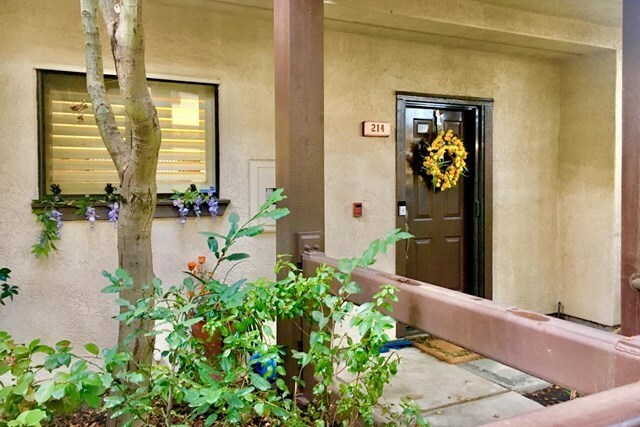 Cute Adorable first home 1 BR, 1 Bath with Den, private patio, on ground floor, close to community pool & hot tub. Kitchen has opening to Dining area for easy entertaining. Washer, Dryer, Refrigerator, Stove, Microwave come with this ideally located condo. Gas lighted Fireplace in Living Room with dining area. This also includes private patio with space for BBQ, table, chair, storage and favorite plants & Covered carport. Home in great area of Walnut Creek with great Acalanes Union Schools. Walking distance to Broadway Plaza. Easy access to FWY 680.& 24. Complex has heated pool and spa with club house. Selling Office: J. Rockcliff Realtors Inc.